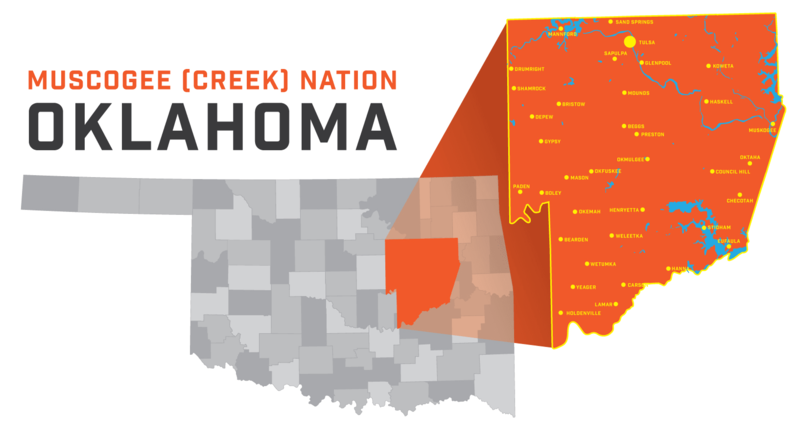 The Muscogee (Creek) Nation is headquartered in Okmulgee, Oklahoma with a tribal jurisdiction encompassing 10 counties. The tribe has a current enrollment of approximately 81,370 members, and its government is a democratically elected constitutional republic. The Muscogee (Creek) Nation government comprises a tripartite government with authority divided between the executive, judicial, and legislative branches. Executive authority is vested in a principal chief and second chief who each serve four-year terms. 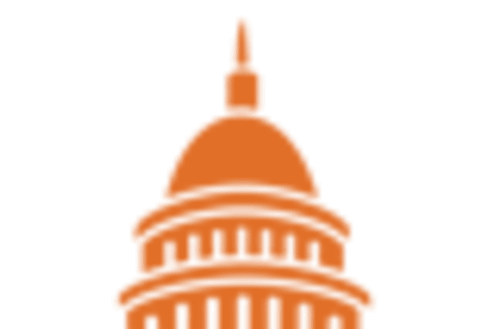 The Muscogee (Creek) National Council constitutes the legislative branch and comprises two representatives from eight districts, each serving two-year terms. The National Council has the power to negotiate with state and federal governments, appropriate tribal funds, enter into contracts for the tribe, and levy taxes; it retains full authority over the disposition of tribal land. Judicial authority is vested in a Supreme Court which comprises a chief justice, a vice-chief justice, and four associate justices who each serve six-year terms. All justices are appointed by the principal chief and confirmed by the National Council. The Muscogee (Creek) Nation owns enterprises in communications, finance, food and beverage, entertainment, information technology, project management, security services, and travel and tourism. The tribe also owns and operates Mvskoke Loan Fund, a certified community development financial institution that fosters entrepreneurial and economic growth among its citizens. OneFire is the financial investment and asset management arm of the tribe. The company focuses on the acquisition of majority ownership and minority positions of companies in targeted industries, along with financing start-ups and short-term projects. Muscogee International, LLC is an information technology and security solutions firm that provides design and installation of various communication technology products, project management, outside plant design services, infrastructure and security analysis, and consulting. 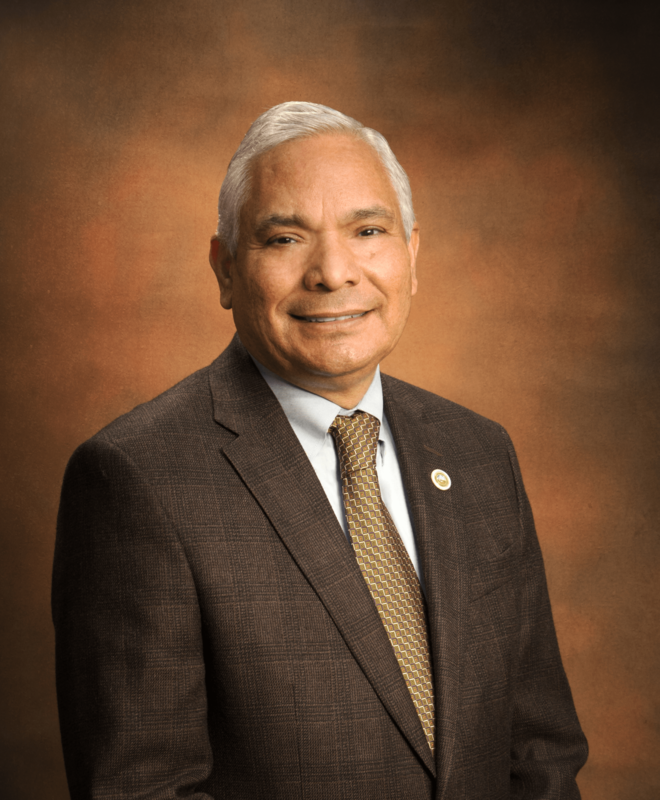 Muscogee Nation Business Enterprise owns numerous service-centered companies and divisions in a variety of sectors including food and beverage, travel and tourism, entertainment, project management, information technology, research, security services, and screening services. The Muscogee (Creek) Indians originate from the southeastern United States and speak Muscogee, a Muskogean language. Originally encompassing most of the southeastern United States, the nation was a confederacy of several tribes centered around tribal towns. As European and then American settlers expanded into the region, the Creek Confederacy was forced to relocate west of the Mississippi River. After enduring the disasters of forced removal and the effects of the Civil War, the United States dealt a devastating blow to the Muscogee Nation with the passage of the Curtis Act in 1898. The act terminated tribally-held lands and sought to dissolve tribal governments in Indian Territory. In active and persistent opposition, the Muscogee Nation continued to operate its national government despite US government interference. In 1971, the tribe elected a principal chief without presidential approval for the first time since the turn of the century. In the new era of asserting its sovereignty, the tribe has also strengthened its heritage through a cultural center that houses exhibits on Creek history, art, and culture. In addition, the tribe hosts the Mvskoke Nation Festival, which has promoted Creek cultural activities and entertainment for more than 40 years.